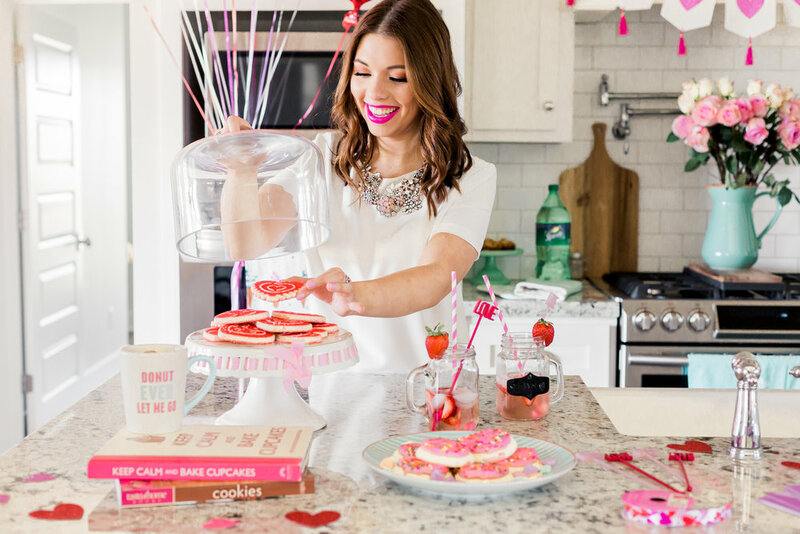 I always look forward to celebrating Valentines Day, because I love that it involves all of my favorite things! 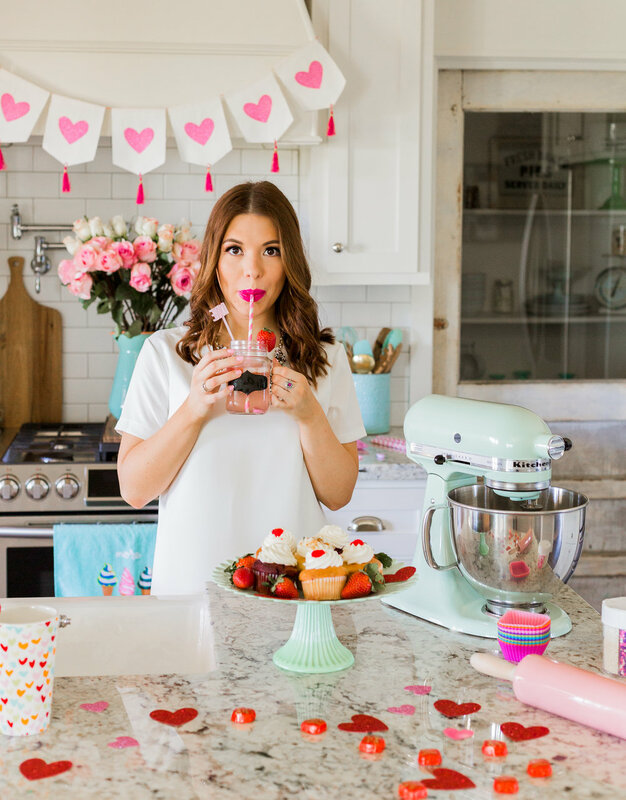 How can you not enjoy a day filled with delicious sweets, lots of pink and sparkles, pretty flowers, and hearts galore!?! 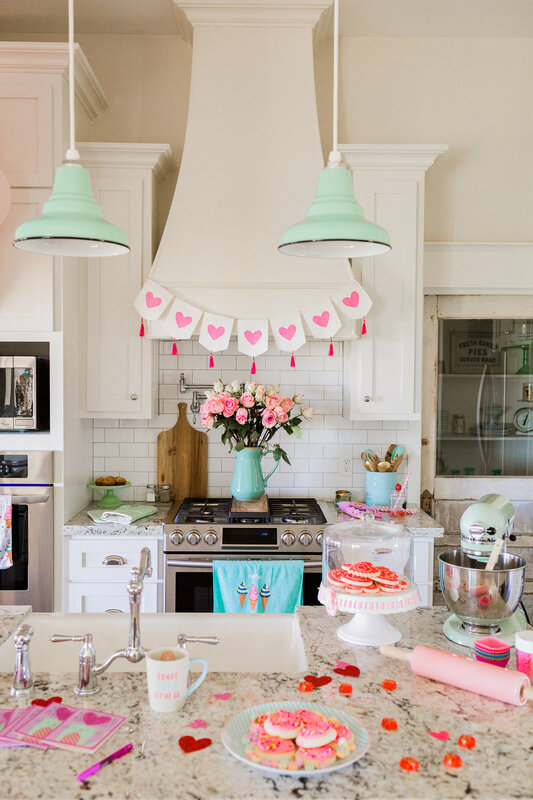 My inner girly girl just loves it all! 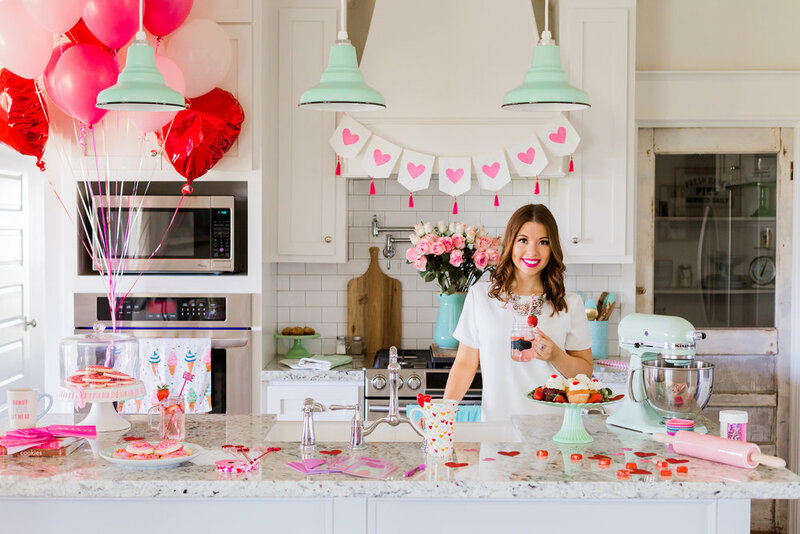 This past weekend Erin, from SincerelyErinMarie, and I set up this fun Valentine's/ Galentine's Day inspired styled shoot in my home and it was so much fun getting to shoot this for her blog! Valentine's is not only a day to celebrate with your loved one, but also a time to celebrate with your closest gals, A.K.A Galentine's Day!! 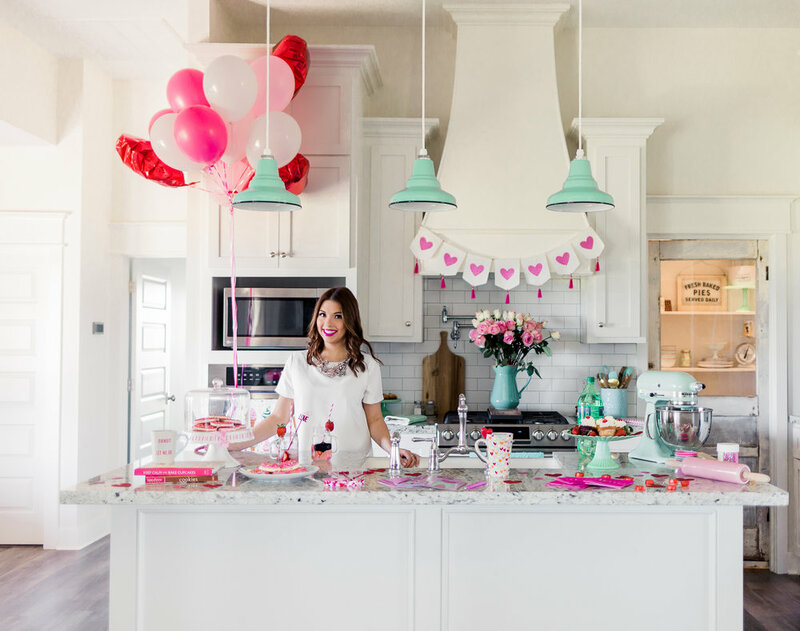 She has put together a post on her blog all about how to successfully host your own Galentine's party. Be sure to head on over to check it out and get all of her outfit details from this post. There is even a super easy and delicious strawberry sangria recipe, featured below, that is also included in her post and perfect for this occasion! 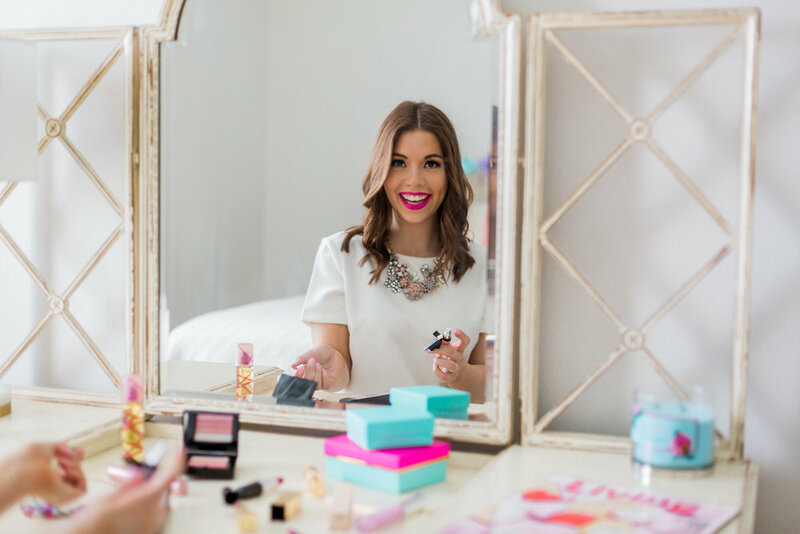 Below is the full set of images from this fun styled shoot! Thanks for stopping by!